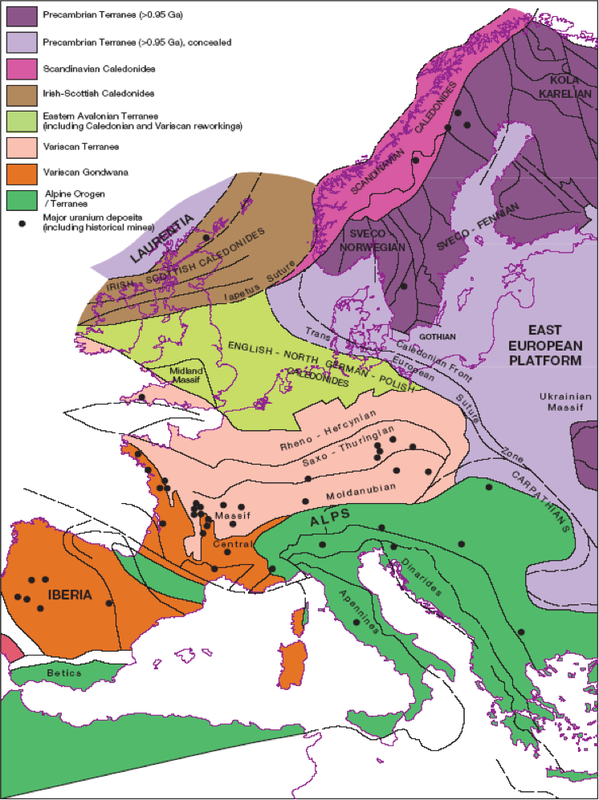 The Geochemical Atlas of Europe contains a nice short overview of the continent's geological and tectonic framework (PDF) and subsequent Tertiary and Quaternary landscape evolution (PDF). For more information on the structure, there's a slightly more detailed variant of the map with explanations from Christian Röhr's Upper Rhine Graben site (sorry, German only) and the Terrane Map of Europe by Martin Oczlon. You also might want to have a look at the International Geological Map of Europe and Adjacent Areas (IGME 5000). Besides the printed copy, it's available as a graphics file (sadly, not in very high resolution) and an “online GIS” at the BGR's IGME site. 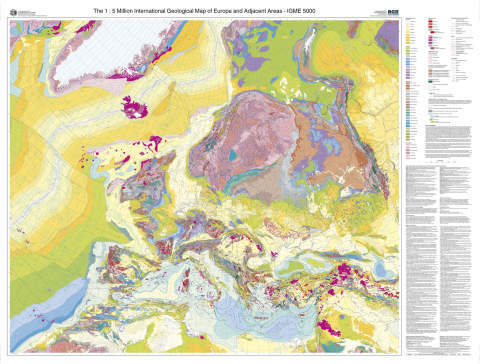 The International Geological Map of Europe and Adjacent Areas (IGME 5000).